Looking for a Used Model X in your area? CarGurus has 219 nationwide Model X listings starting at $60,000. For 2019, the Model X loses the lower-range 75D trim and introduces a simplified trim structure. Trims now include Long Range and Performance. Long Range and Performance both come with all-wheel drive (AWD), 20-inch wheels, intelligent air suspension, automatic-opening front doors, “falcon wing” upward-opening rear doors, a heated steering wheel and seats, and a power liftgate. Inside, a 17-inch touchscreen controls much of the cabin and a glass roof runs all the way back from the windshield back to give occupants an expansive view. 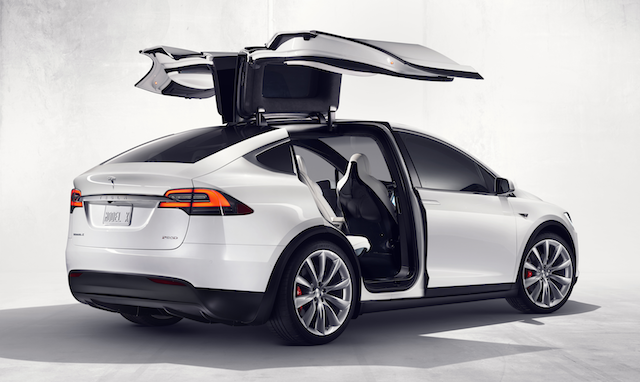 The Model X includes 88 cubic feet of cargo space along with seating for five. Drivers can specify additional seating for up to seven passengers. The Long Range has a 0-60 mph time of 4.7 seconds and a range of 295 miles. The Performance trim gets more power from its electric powertrain and can get from 0 to 60 mph in as little as 2.8 seconds and offers a range of 289 miles. At-home charging takes as little as 6.5 hours, but Tesla's Supercharger network can give the Model X a 170-mile boost in 30 minutes. The Model X received a 5-star rating from the National Highway Traffic Safety Administration (NHTSA). The Enhanced Autopilot software, which allows for semi-autonomous driving and self-parking, is an available option. The Model X has more competition, facing electric options from Jaguar, Audi, Volkswagen, and upstart Rivian. But the Model X still has the tech and the performance to keep it toward the top of the heap. What's your take on the 2019 Tesla Model X? Have you driven a 2019 Tesla Model X?